The name could not be more appropriate. 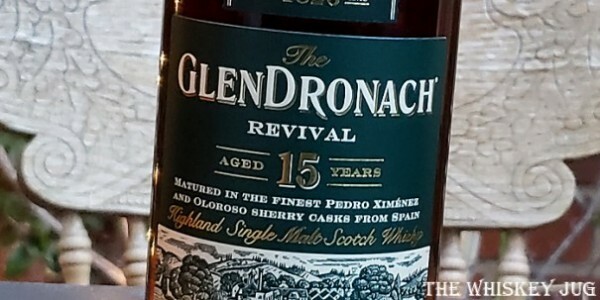 GlenDronach 15 The Revival is back and it’s coming out swinging with a new recipe, a new profile, but the same bottle and label. 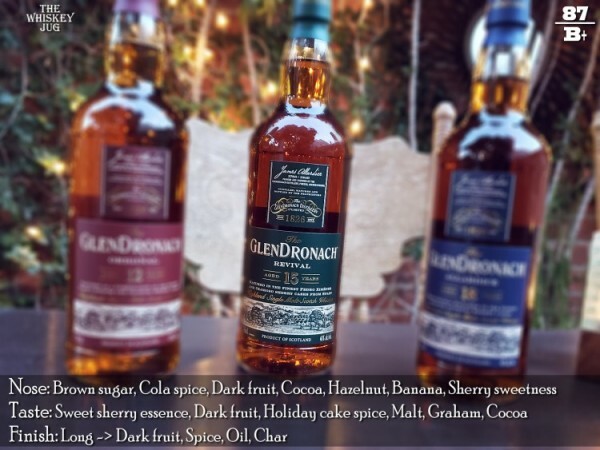 The previous version had been 100% Oloroso sherry casks, but the new one now employs the use of PX sherry casks to boost the sweetness and the richness. For my money the 18 is where it’s at, but the 15 isn’t too far behind, in fact there isn’t a Glendronach release I’ve had that I didn’t like. Even the current 12, now that it no longer has older whisky in it, is still quite good. Which reminds me, I have a ton of Glendronach notes in the queue… I should get them up on the site. 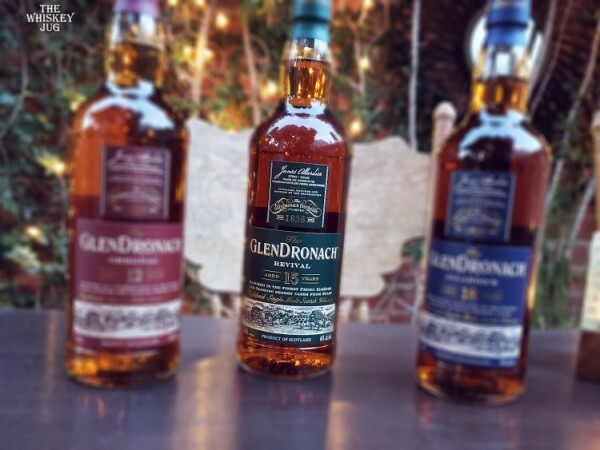 We could all use more Glendronach in our lives. Brown sugar, cola spice, dark fruit, cocoa, hazelnut, banana, sherry sweetness, vanilla frosting and a bit of malt and citrus. Sweet sherry essence: dark fruit, holiday cake spice, malt, graham, cocoa, dark fruit oil, nuts and some vanilla and citrus. Long -> Dark fruit, spice, oil and char. Good balance, medium-full body and a light syrupy feel. 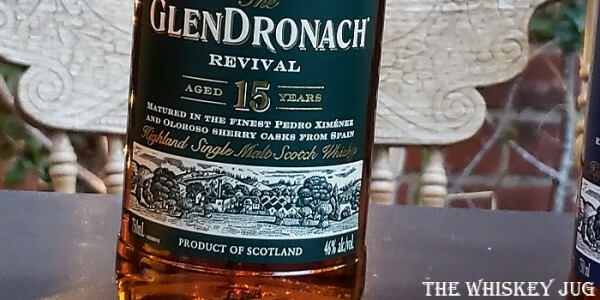 Overall the GlenDronach 15 The Revival is quite nice. The aroma is solid with notes of dark fruity sherry hanging heavy. The palate carries that character on through the finish which fades out sweet and a touch oaky. After a while of being open, it evolves into a more dark sweets accented whisky with the sherry and dark fruit still leading the way; there is a nice depth here that makes it hard to find a reason to not like it. At the end of the day it’s a fun full-bodied whisky that has a lot to offer and would love to have in my glass far more often than I currently do… guess I’ll need to remedy that. And, for what it’s worth, it’s a good follow-up to the original and worthy of the label. 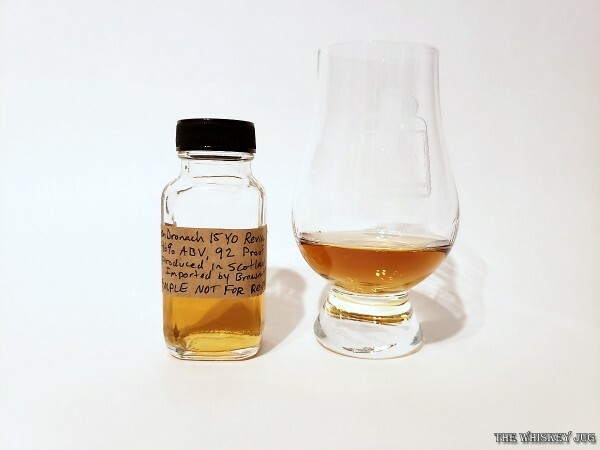 *Disclosure: This GlenDronach 15 The Revival sample was graciously sent to me by the company for the purposes of this review. The views, opinions, and tasting notes are 100% my own. Glendronach 15 The Revival is fantastic, I love everything about it and think it’s a worthy successor to the name. The post GlenDronach 15 The Revival Review appeared first on The Whiskey Jug.